It has been said that “the definition of insanity is doing the same thing over and over again and expecting different results.” No one quite knows who first uttered this remark; it has been attributed to Albert Einstein, Mark Twain, Benjamin Franklin, and even an Ancient Chinese Proverb. What is known is that this cliché has been repeated over and over again so often that its mere mention substantiates its own definition. Nonetheless, we repeat it again because it’s particularly fitting to today’s contemplations. Here we begin with a look back to the past in search of edification. For the miscalculations of the past continue to dictate the insanity of the present. Many years ago, for example, a bright minded and well intentioned Italian pursued a devious undertaking. His efforts were to conceive a pure theory of a socialist economy. His objective was to take the sordid teachings of Marx and pencil out the mechanics of how a centrally planned economy could bring a life of security and abundance for all. What follows is an approximation of how the dirty deed went down. In 1908, Italian economist Enrico Barone suffered an abstraction. One late night he skipped a bite of his meatballs and marinara, and gazed into the outer frontiers of deep space. Looking around, he couldn’t believe his eyes. For in this far corner of absolute darkness, he saw something truly amazing. Out in the distant reaches of nothingness, peering into a black hole, he saw not the dark. But rather, he saw the light. The proposal was simple enough. If a bounty of academics were put to the task of determining the best prices for all goods and services, supply and demand could be optimized to produce an economy without poverty, without unemployment…and without possibility. Of course, with all these number crunchers hammering out technical memorandums and whitepapers, projecting data into the future with the intention of fixing the optimal price of toothpaste and pizza, how could they account for a change beyond their control or imagination? What if a springtime heat wave resulted in a meager wheat harvest? How would this affect their pre-determined price for a 16 inch pizza? Would government mandated thin crust be the solution? More than likely, before the data fabricators could re-optimize the price to the change in conditions, the pizzerias would be out of pizza dough because the price wasn’t allowed to naturally adjust upward by free market interactions. Government induced shortages and artificial scarcity would result. With just a little common sense, Barone’s ideas are quickly exposed as absurd. From an academic standpoint, in his 1920 essay, Economic Calculation in the Socialist Common Wealth, Austrian economist Ludwig von Mises, poked so many holes through Barone’s rationale it was transformed to Swiss cheese. With exacting repudiation, Mises argued that in a socialist economy rational economic calculation is impossible; in the absence of private ownership of the means of production attempts to allocate resources efficiently must fail. Without market determined prices for goods and services via free exchange it is impossible to establish prices that reflect actual conditions. Without prices that are grounded in reality the production and consumption relationship becomes distorted. In the absence of the natural corrective mechanism of market determined prices, oversupply and scarcity conditions extend out to absurdity. The planners are never able to get things quite right. In time, these absurdities become ubiquitous. For example, in a socialist economy you’ll find supermarkets with long lines of people and empty shelves. Another definitive gift of socialist economies is toilets without toilet seats. How is this even possible? Still, the socialist visionaries loved Barone’s gibberish because it endorsed their conceit. Here was a marvelous way for the enlightened illuminati to play god, muck with people’s lives at large, and remake the world in their image. Conversely, the mainstream economists of the day greeted Mises’s truths like a five-year-old first greets word that Santa Clause isn’t real. They derided his efforts and attempted to marginalize his work. This still continues today. The ideas of Barone, which were an attempt at defining a practical application of Marx, swept across Eastern Europe during the early 20th century like a medieval plague. Later, a somewhat altered derivative of these ideas resurfaced in France, the United Kingdom, the United States, and Japan, among other places, within the intersection of Keynesian fiscal policies and Chicago school monetary policies. Rather than having to directly fix the price of individual goods and services via a Central Planning Board, it was established that a Central Bank can crunch fabricated aggregate demand data and control the prices of an entire economy just by monkeying around with the price of credit. What’s more, governments could run perpetual deficits to remold things nearer to their heart’s desire. Mises’s efforts to refute market socialist proposals nearly a century ago were explicitly validated with the decline and fall of Soviet socialism. Presently, they’re being openly validated with the utter chaos being heaped upon the people of Venezuela. Indeed, the results of government intervention are always the same. 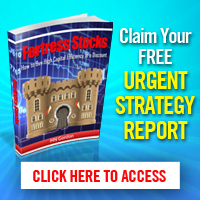 Stagnation, inflation, declining living standards, and widespread social disorder. No doubt, they’ll be repeated to insanity. 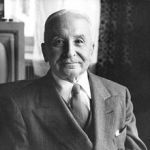 In closing, and although many refuse to recognize it, Mises’s truths are currently bearing out in the United States, and other social and corporate welfare economies, where money, which is a form of private property, is covertly confiscated by the insidious effects of a centrally planned system that’s based on ever increasing issuances of debt. 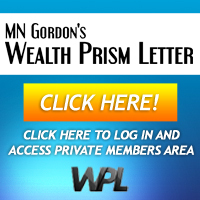 This entry was posted in MN Gordon, Politics and tagged economic calculation in the socialist common wealth, enrico barone, freedom, ludwig von mises, socialism. Bookmark the permalink. Pingback: Ludwig von Mises’ Century Of Validation | Daily News Inc. 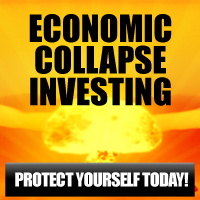 If you take the cycle of money creation and destruction out of the calculus of an economic plan, you cheat yourself. The socialist planners are caught in the same stupidity: obsessed with the physical production they forget to let money keep its value. The free market fanatics never predict a recession. Both categories ignore the fundamental of economic planning: the money environment. And this environment is controlled by the money creators/destructors: the banks. Ludwig von Mises’s seminal article on the impossibility of economic calculation in socialism is but one of this great thinker’s many achievements and contributions to economic science. For this contribution alone he should have been one of the first recipients of the Noble Prize. That is the most delusion comment I have heard for a long time. You only receive Noble Prizes for inventing/discovering things that work.